Don’t throw away your used green tea bags! Tea is full of antioxidants that repair cellular damage, which can lead to wrinkles and health implications. Green tea is even more beneficial. That’s why it seems such a shame to throw out a tea bag after it has served its purpose. 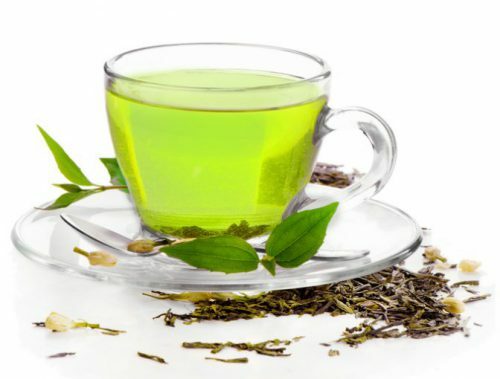 Here are five amazing uses for green tea that will ensure the best skin ever! Green tea is an effective skin cleanser for all skin types. Massage a mixture of infused green tea and two tablespoons of honey over your face and rinse. Let green tea cool in a spray bottle to mist all over your face. To clear acne-prone skin, add two tablespoons of honey to one table spoon of infused green tea. Apply, and leave for 20 minutes. Place two infused green teabags in the freezer for five minutes and leave on your lids for 10 minutes. No more puffy, swollen eyes! Add green tea leaves to boiling water and leave it to diffuse. Then soak a washcloth in it and steam your face for five minutes. Don’t forget to drink two to four cups of green tea a day for overall wellness.